Introduction: Gena Philibert-Ortega is a genealogist and author of the book “From the Family Kitchen.” In this guest blog post Gena writes about a resource beloved by genealogists, the local library—and how thousands were built thanks to the generosity of businessman, steel magnate and philanthropist Andrew Carnegie. Many genealogists are thankful for a resource that helps them immensely with their family history research: the local library. In the late 19th and early 20th centuries, communities throughout the English-speaking world owed their local libraries to the generosity of one man: businessman, steel magnate and philanthropist Andrew Carnegie. 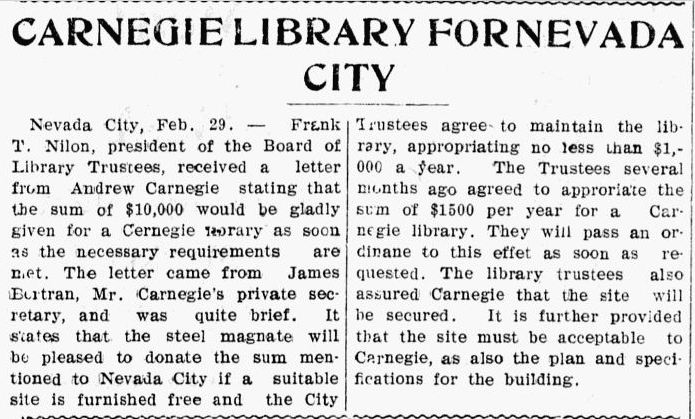 Between the years 1883 and 1929, more than 2,500 libraries were built with donated Carnegie money, including a staggering 1,689 in the United States alone! A recent History Channel mini-series, “The Men Who Built America,” told the story of those late 19th century tycoons who helped industrialize and bring innovation to the United States, including Andrew Carnegie. While the wealth that Carnegie amassed building his steel empire later benefitted the public, he was not without controversy. Along with his business success, Carnegie was also known for his indirect roles in the tragedies of the 1889 Johnstown Flood and the deadly Homestead Strike in 1892. Carnegie, no matter how benevolent, was not a universally-liked man during his time. Though these conditions made some communities angry, who saw them as a drain on taxpayer money, others understood the educational opportunity made possible by the offer of a Carnegie library. The first Carnegie library in the United States was opened in 1902 in New York City. Here is an example of an announcement in an old newspaper for the approval of a library in the California town of Nevada City. This library building still stands and now houses the Doris Foley Library for Historical Research, a research facility for Nevada County history. 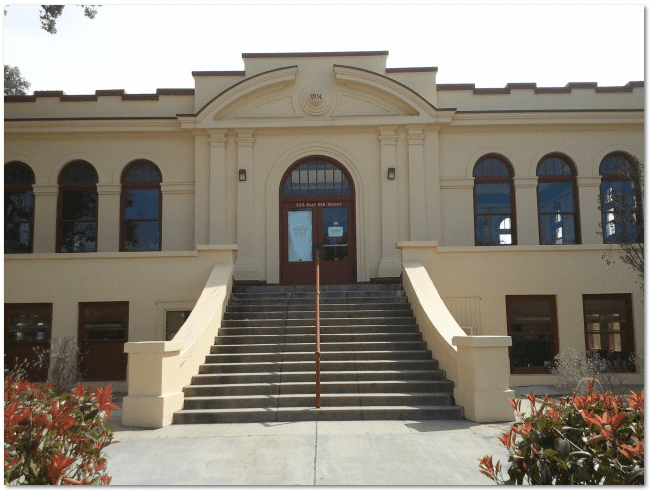 While some of those Carnegie-funded libraries still exist and function as active libraries, including the one pictured below in the Southern California town of Beaumont, there are many that have not stood the test of time or were converted to other uses. Photo: Carnegie-funded library in Beaumont, California. Credit: Gena Philibert-Ortega. In some cases a city’s growing population meant that a bigger library was eventually needed. 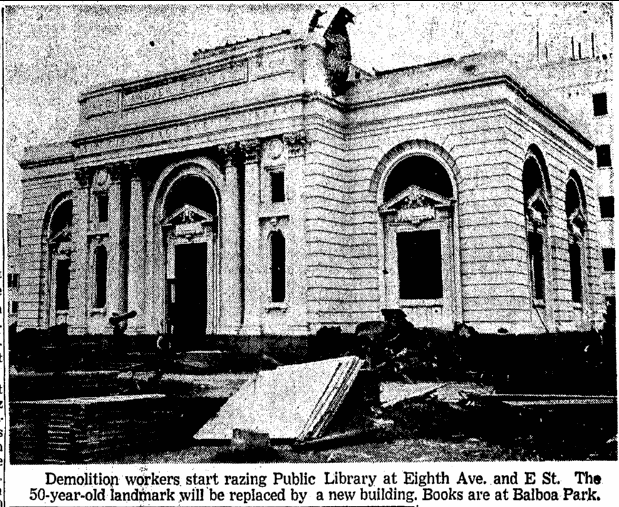 This happened in San Diego, whose booming population outgrew its cramped library (opened in 1902) over the decades. That San Diego library was the first Carnegie library in California. Want to know even more about Carnegie libraries? The Andrew Carnegie Collection housed at the Carnegie Mellon University Libraries includes documents regarding Carnegie libraries. * History Channel. Andrew Carnegie. http://www.history.com/topics/andrew-carnegie. Accessed 31 March 2013. ** Determining the Facts. Reading 2: Obtaining a Carnegie Library http://www.nps.gov/nr/twhp/wwwlps/lessons/50carnegie/50facts3.htm. Accessed 31 March 2013. Have You Participated in a DNA Study for Ancestry Research? The first Carnegie Library was built in Braddock Pa. where Andrew Carnegie built his first steel pland the Edgar Thomason Works.